UPDATE: This Chat was truly amazing. We hope to do this again as we have had spectacular feedback. If you are interested, you can check out this link to see the Chat archive. Laurel Iverson Hitchcock (@laurelhitchcock) and I (@JimmySW) have designed a social media assignment for social work students that involve students watching a documentary and then participating in a live Twitter chat. 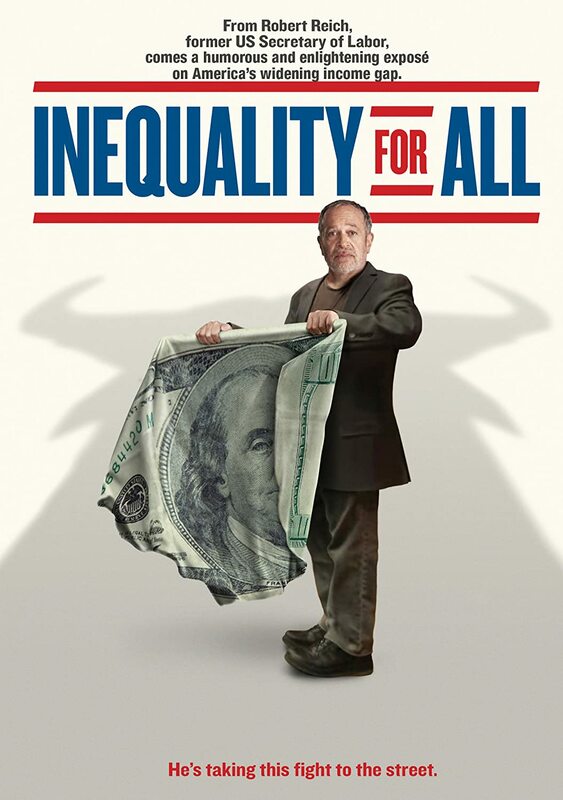 The assignment is meant for a policy or macro class and involves students watching the documentary Inequality for All, and then participating in a live Twitter chat on October 28th at 9pm Eastern Standard Time or 8pm CST. We have partnered with the wonderful folks that conduct the #MacroSW chat for this special event and will be using their hashtag #MacroSW to facilitate the live chat. We are interested in piloting this assignment in classrooms across the country and hope that other social work or human service educators might participate by including the assignment in class and providing us some feedback. Of course if you would rather just join the Live Chat only, that would be wonderful as we hope to have many individuals participate. 1) Students will watch the documentary Inequality for All on their own or in class (it is available on Netflix), and then write a brief reaction to the movie including if they agreed with the film maker’s position (why or why not?) and how the movie informed their understanding of poverty in the U.S. (500-700 words). 2) Students then participate in a one-hour Live Twitter Chat on October 28th at 9pm EST/ 8pm CST. Questions will be based around the film as well as the overarching topic of Inequality. Students will need a free Twitter account, and will demonstrate participation during the chat by: a) posting responses to at least three of the discussion questions; b) responding to at least three other chat participants; and c) include a hyperlink in at least two posts. If you or your students are new to Twitter, you can use the following guide to help get you started (Getting Started with Twitter) or watch this video on how to participate in a Live Twitter chat. 3) After the live chat, students will write a self-reflection about the experience of participating in the Live Twitter Chat that includes a brief summary of the chat, lessons learned from the chat and how the experience could inform future social work practice (300-500 words). Naturally you can assign point values or simply include this as part of the class participation. Should you choose to use it as a traditional assignment, the following Rubric will help you with grading and providing directions for students. The rubric is based upon the Educational Policy and Accreditation Standards from CSWE. Reaction to Movie ReviewEPAS 2.1.3 a – Apply critical thinking to inform and communicate professional judgments Very clearly constructed and communicated reaction or reflection to the documentary. Insightful, thoughtful, and supported. An adequate reaction is provided including thoughts, insights, questions, concerns or “a-ha”s expressed clearly. Weak reaction or reaction is not justified with thoughts, evidence or personal experience. Understanding of Poverty in Movie ReviewEPAS 2.1.5 a – Understand the forms and mechanisms of oppression and discrimination Review provided description of insights related to poverty with clarity, evidence, included examples from the documentary. Sought to explore diverse viewpoints and provide insight into the lives and thoughts of individuals in the film. Review provided some description of insights related to poverty, but only included some evidence from the documentary to support their thoughts. Discussed only one diverse viewpoint. Review provided some description of insights related to poverty, but little or no evidence or examples from the movie were provided to support discussion. Review did not demonstrate cultural sensitivity or attempt to understand diverse viewpoints. Writing Mechanics in Movie ReviewEPAS 2.1.3 c – Demonstrates effective written communication consistent with professional social work standards. Writes with no errors in grammar, capitalization, punctuation, and spelling. Writes with minor errors in grammar, capitalization, punctuation and spelling. Writes with major errors in grammar, capitalization, punctuation, and spelling (3 or more errors). Policy Content in TweetsEPAS 2.1.8 b – Analyze policies that advance social well-being. Original tweets consistently provide new resources or ideas about income inequality or poverty that add value to the discussion. Tweets are creatively and succinctly written to stimulate dialogue and commentary. Most original tweets provide new resources or ideas about income inequality or poverty that add value to the discussion. Most tweets are written to stimulate dialogue and commentary. No or a few original tweets provide new resources or ideas about income inequality or poverty that add value to the discussion. No or a few tweets are written to stimulate dialogue and commentary. Hyperlinks and other resources in TweetsEPAS 2.1.3 b – Synthesize multiple sources of knowledge, including research-based knowledge, and practice wisdom. Tweets include accurate hyperlinks to resources that enhance the topic. Effectively uses tiny URLs as needed to stay within the 140-character limit. Selects hyperlinks representing the most current resources about the topic. Tweets include hyperlinks to resources relevant to the topic. Uses tiny URLs most of the time to stay within the 140-character limit. Usually selects hyperlinks that represent the most current resources about the topic. Some tweets include hyperlinks, but not all resources are relevant to the topic. Inconsistently uses tiny URLs to stay within the 140-character limit. Hyperlinks connect to many out-of-date resources. Writing Mechanics in TweetsEPAS 2.1.3 c – Demonstrates effective written communication consistent with professional social work standards. Writes Tweets with no errors in grammar, capitalization, punctuation, and spelling. Writes Tweets with minor errors in grammar, capitalization, punctuation and spelling. Writes Tweets with major errors in grammar, capitalization, punctuation, and spelling (3 or more errors per tweet). Comments & Contributions in TweetsEPAS 2.1.1 d – Demonstrate professional demeanor in communication. Consistently responds to tweets with positive, respectful, and succinct comments while providing a meaningful addition to the discussion. Re-tweets are appropriate for the assigned discussion topic and always include the source’s Twitter username. Always uses the appropriate hashtag. Creates and sends tweets more frequently than required. Most responses to tweets are positive and respectful while providing a meaningful addition to the discussion. Most re-tweets are appropriate for the assigned discussion topic and include the source’s Twitter username. Consistently uses the hashtag. Creates and sends tweets as often as required. Some responses to tweets are negative and disrespectful and/or provide little value to the discussion. Re-tweets are often inappropriate for the assigned discussion topic and fail to include the source’s Twitter username. Consistently does not include the hashtag. Creates and sends tweets somewhat less often than required. Self-Correction & Self-ReflectionEPAS 2.1.1b – Practice personal reflection and self-correction to assure continue professional development. The reflection demonstrates ability of the student to question their own biases, stereotypes, preconceptions, and/or assumptions and define new modes of thinking as a result. The reflection demonstrates ability of the student to question their own biases, stereotypes, preconceptions. New modes of thinking are not evident. There is some attempt at self-correction, but the self-reflection fails to demonstrate a new awareness of personal biases, etc. Active LearningEPAS 2.1.1 e – Engage in life-long learning The reflection shows tremendous thought and effort. The learning experience being reflected upon is relevant and meaningful to student and assignment learning objectives. The reflection shows some thought and effort. Student makes attempts to demonstrate relevance, but the relevance is unclear in reference to assignment learning objectives. The reflection showspoor thought and effort. Most of the reflection is irrelevant to student and/or assignment learning objectives. Writing Mechanics in Self-ReflectionEPAS 2.1.3 c – Demonstrates effective written communication consistent with professional social work standards. Writes with no errors in grammar, capitalization, punctuation, and spelling. Writes with minor errors in grammar, capitalization, punctuation and spelling. Writes with major errors in grammar, capitalization, punctuation, and spelling (3 or more errors). Lastly, to help us with improving this assignment we ask that you assess the quality of the Rubric for this assignment by using the following meta-rubric and share it with us. Thank you and we look forward to chatting with you via Twitter on October 28th.